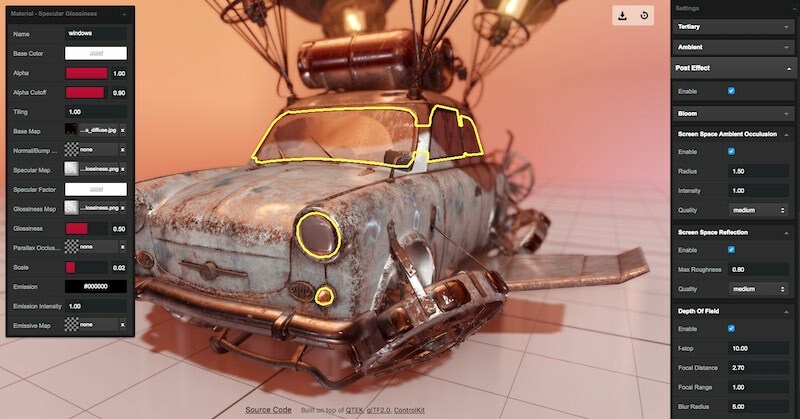 ClayGL is a WebGL graphic library for building scalable Web3D applications. It's easy to use, configurable for high-quality graphics. Benefit from the modularity and tree shaking, it can be scaled down to 22k(gzipped) for a basic 3D application. This example is about 22k(gzipped) after bundled by webpack 4.0. It draws a triangle on the screen. // Add triangle vertices to position attribute. Needs python3.3 and FBX SDK 2018.1.1. --noflipv             If not flip v in texcoord.